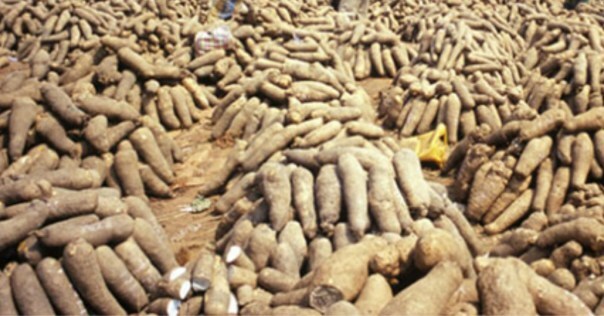 Nigeria’s monthly export target of 480tonnes of yam to the United States, Canada, United Arab Emirates, as well as key European countries is under threat by the rising insecurity in Benue state, in Nigeria, BusinessDay investigations has revealed. Yam, a staple food virtually consumed by every household in Nigeria, is predominantly grown in the North Central region of Nigeria. Nigeria flagged off campaign on yam export on June 29th 2017 aimed at generating additional foreign exchange revenue of $10 billion within four years. The country is the world’s largest producer of yams, with more than 25 million tonnes consumed entirely on the domestic market. Ghana, the second largest yam producer with 3.25 million tonnes, makes an average of $5 billion annually exporting yams. Sadly, the country’s projection is now being threatened on the rising spate of insecurity forcing local farmers in Benue to seek refuge in Internally Displaced Peoples (IDP) camps, as Fulani herdsmen unleash mayhem on Nigeria’s Yam base and food belt region of Benue state. The state has been under persistent attack through farmers-herders crisis ,as the situation has left the state with over a 100 000 Internally Displaced in the state many of whom are farmers. Confirming this development to BusinessDay exclusively, Simon Irtwange, who heads the Federal Government’s Technical Committee on Yam export Programme said:”The farmers-herders clash has affected harvest and successful evacuation of yams into storage in Benue state. Irtwange also confirmed that the yams in the farms are being destroyed, burnt and also used to feed cattle. According to Irtwange, the Fulani herders call yams “indomie” for the cattle. The seed yams for the next planting season have also been destroyed along with the ware yams. ‎Istwange regrettably remarked that the development is already taking its toll on Nigeria’ s food sufficiency drive and increase in Nigeria’s non oil export with high hopes on Yam exports, while pointing out that,”Right now the farmers are in IDP camps and yam farming activities are at a standstill in the affected areas. ‎According to him,”We are therefore supporting members of the National Association of Yam Farmers, Processors and Marketers that are registered as aggregators with technical information for design of solar cooled warehouses for yam aggregation and storage for local consumption and export. ‎The Committee also assisted technically during the Economic Recovery and Growth Plan (ERGP) focused labs with entry point projects in the yam value chain to attain 5-star status, he noted. Speaking further on the efforts of the key efforts of the committe, he said:”We have advocated the establishment of a national yam export pack house as a one-stop-shop with all the relevant regulatory bodies such as :The Nigeria Customs Service,National Qaurantine Service and the Nigeria Customs Service, under one roof as in the case of Ghana. Relaying her export experience to BusinessDay,Elizabeth Olarenwaju Okonkwo‎ of Oklan Food LTD,a limited said,”what prompted us into yam export was because we see cartons with yam Produce of Ghana,Brazil and other countries,while Nigeria a leading yam culticating nation is not maximising full benefits of export potentials. On the export destination, she said,”Our destination is the United States of America,the United Kingdom and China. “I had been contacted by USAID that the Minister of Agriculture is concerned of Yam because Nigerian diasporans have already indicated their interest on linking up with Nigeria Yam as he want to capitalise on the market there”. She informed of the collaboration with the International Institute of Tropical Agriculture,IITA, on some level of assistance in standardising yam exports. “The Oyo state farmers had met with IITA on the Yam export issue and were given 40 boxes of seedlings of plant.We have a staff of IITA working to ensure a standard procedure by teaching the farmers the perimeters to put in place.We are working in Osun state,and we have signed to aggregate all the Yam produced in Osun state. 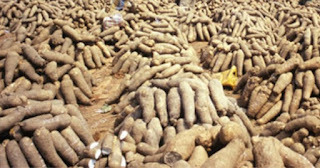 ‎Nigeria accounts for a total of 67% of Yam production,but is leapfrogging it’s West African neighbour Ghana,who are already making to the tune of $5bn annually from global Yam market share.Industry watchers say the federal government must stem the tide and ensure the issues bothering on farmers-herders clash are properly addressed to ensure improved export earnings from Yam.